The Nissan Armada is a truly special vehicle. First created in 2004, it was originally branded as the Pathfinder in an attempt to appeal to the adventurous in spirit. The company later dropped the designation, but the mentality of the design remains in place. Constant upgrades and improvements make the Armada line a shining showcase of how to get SUVs right. 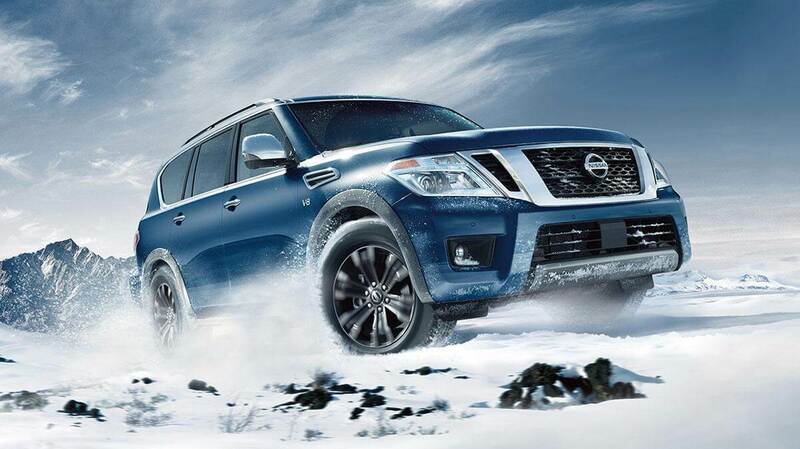 The New Nissan Armada in El Paso Texas is a fantastic example of what to look for in an SUV. This is a double-duty SUV that serves drivers just as well hauling the kids to soccer practice as it does off-roading and backroading to your favorite fishing hole. An absolutely insane amount of hauling power also makes it the perfect choice for light-duty work and keeping equipment close by. Driving the new Armada is exciting, enjoyable, and even a little bit luxurious, but that’s just a surface-level review. Let’s take a deeper look at this vehicle and all that it has to offer. The first Nissan Pathfinder Armada started out as a massive, gas-guzzling beast modeled after the more robust Nissan Titan. It essentially stayed this way for well over a decade – 12 years in fact – until Nissan decided it was time to overhaul the design. And we’re so glad they did, because the new Armada is truly a sight to behold and an experience to drive. Newer models (from 2016 on) are modeled more closely after the global Patrol SUV, another of Nissan’s specialty vehicles. Despite the similarities – including a shorter wheelbase and more luxurious interior design, as well as the overall look, there’s really more that’s different between the two than is the same. Although some of the prior off-roading functionality has been removed from the Armada, the company makes up for it by making this an especially useful vehicle for city drivers. Every vehicle (in every trim) gets a robust 5.6-liter V8 engine with a 7-speed automatic transmission that makes shifting buttery smooth. It reacts nimbly to demands on the fly, keeping the driver in control and in charge. While the Armada’s horsepower rating isn’t as high as some of the competition (including the Patrol), it isn’t exactly a slouch, either. Expect plenty of pulling power for charging through rough conditions that works just as well when towing trailers. Of course, all of that power does come at a slight cost: it’s a bit lower in gas mileage than other models, even within the Nissan SUV line. Most models between 2016 and 2018 range somewhere around 14 MPG in the city and 19 MPG on the highway. This number drops even lower when towing a trailer, but it’s because the Armada is rated to tow an insane 8,500 lbs. of weight without struggling. That’s invaluable if you work with your truck or need to transport heavy items regularly. Campers, this one's for you! As for speed, we’re super pleased with how fast and fluid the Armada accelerates. It does 0 to 60 in just a little over six seconds, much better than many other vehicles in its class. Fast acceleration is actually preferred with this line because most of its power features kick in at around 4,000 RPM, so hit that sweet spot early when you need it the most. So, let’s talk tech. Because the Armada sacrificed its off-roading power to bring in more luxury and more technology, it really had to compensate by going all-out. Inside most Armada models is the line’s standard infotainment system with an 8-inch touchscreen. NissanConnect, HD Radio, and extra USB ports ensure you always have a way to charge your favorite devices while you drive. BOSE stereo technology makes jamming out to your favorite tunes during your morning commute a true audiophile’s dream. Purchase the SL model and you get even more: a 360-degree camera to help you see and improve safety, a single-button remote start that works from a considerable range, and a new driver memory system that auto-adjusts your seat and wheel each time you step in. Feel free to give your teenager the car to head out on the town; it’ll prepare itself for your return once you take over. Other more safety-oriented updates include fluid adaptive cruise technology that adjusts to driving conditions, easier blind spot monitoring tools, a warning system to prevent accidents, and avoidance braking at the front and rear. Especially interesting is the Intelligent Rear View Mirror; at the touch of a button, you can project an HD image pulled from your vehicle’s rear-facing camera to help you better see behind yourself. To test drive a new Nissan Armada for yourself head on down to Casa Nissan today!